The Indiana University South Bend Civil Rights Heritage Center at The Natatorium memorializes the struggle for equal access through exhibits, art, local histories, tours, and more. It also actively promotes social justice through community-based programs. One of three historic houses owned by The History Museum, the 38-room J.D. Oliver House lets you step back in time as you tour the lush gardens, Worker’s Home, and mansion of the 1930’s – complete with all original furnishings. Dr. Otis Bowen was a rural country doctor in Northern Indiana who became governor of Indiana (1973 – 1981) and Ronald Reagan’s Secretary of Health and Human Services. The Otis Bowen Museum contains artifacts and memorabilia that tell his story, including some of the items he used in his medical practice and many others given to him throughout his political career. The Potawatomi Conservatories are a center for botanical education. offering a chance to experience various natural environments: lush tropical foliage, oddly bulbous succulents of the desert, and more. The conservatories also offer classes in plant care, science workshops for children, and special seminars. Part of the University of Notre Dame, the 70,000 square-foot Snite Museum of Art contains more than 27,000 works from numerous cultures and periods of world art history and is considered one of the finest university art museums in America. Don’t miss it! The mission of the outdoor park and indoor museum of the South Bend Military Honor Park is to pay humble tribute to all veterans, living and deceased. Displays include airplanes, tanks, weaponry, uniforms and other small artifacts representing all five branches of the U.S. military. Founded in 1947, The South Bend Museum of Art features historical and contemporary art in five galleries that shed light on the art, history, and culture of the region as well as the nation. Be sure to check out The Dot Shop where you can purchase art created by local and regional artists. 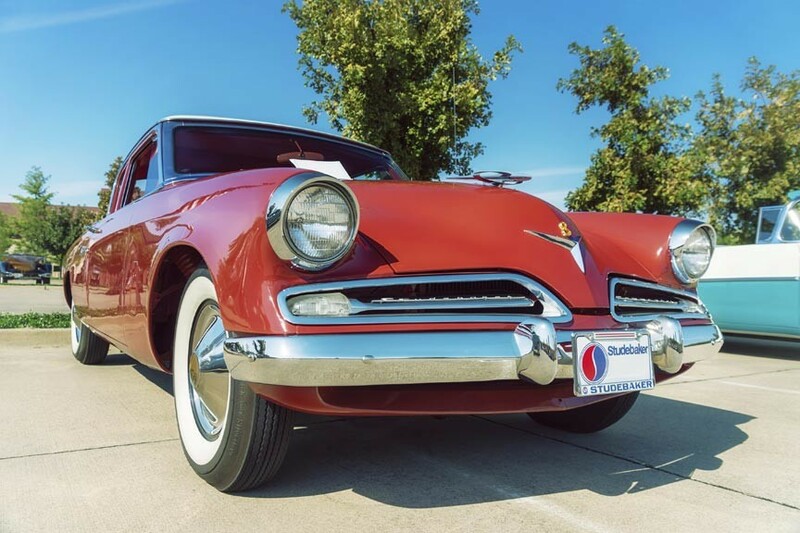 Peruse 150 years of Studebaker and South Bend industrial history through the museum’s exhibits and collections, including military vehicles from five wars, and the largest collection of Presidential carriages in the world! Fascinating for automotive and history enthusiasts alike. As you can see, there are many, many great South Bend museums to visit – and that’s not all Northern Indiana has to offer. Whatever brings you to Indiana Amish Country, let the quiet country comfort of Scottish Bed & Breakfast serve as your home away from home! We’re less than a half hour’s drive from South Bend’s attractions and offer a full-size, indoor swimming pool, event facility, Select Comfort Number king or queen beds, a television and DVD player, fireplaces, and climate control in every room – not to mention our delicious, home-cooked breakfasts. This entry was posted on Wednesday, June 17th, 2015 at 10:00 am and is filed under Adventures in Northern Indiana. You can follow any responses to this entry through the RSS 2.0 feed. Both comments and pings are currently closed.